Ahead of the festival's second edition, organizers behind Toronto's Venus Fest have lifted the curtain on the lineup of acts set to play this year's event. 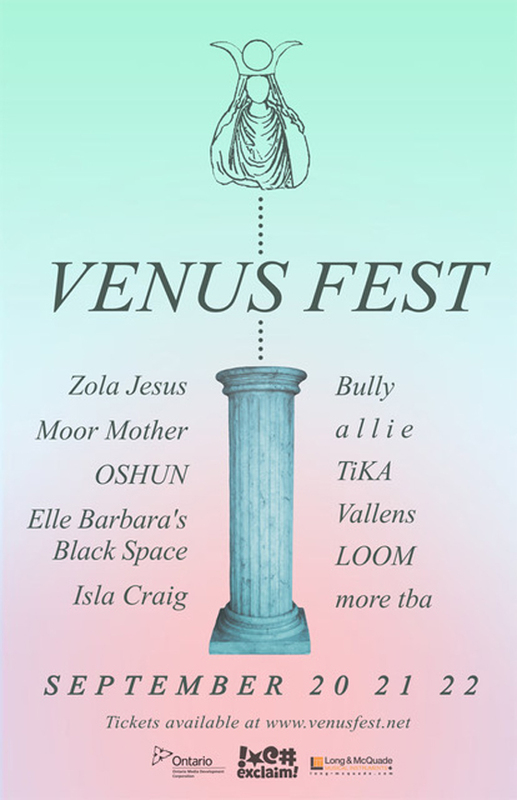 Synth-pop staple Zola Jesus, poet/musician Moor Mother and Nashville trio Bully lead the bill, followed closely by a l l i e, OSHUN, TiKA, Elle Barbara's Black Space, Vallens, LOOM and Isla Craig. Additional performers are set to be announced. As previously reported, the 2018 edition of Venus Fest will take place from September 20 to 22. The festival's first evening will be presented at the Mod Club before moving out the Opera House in the city's East End for the final two evenings. Early bird wristbands for the festival are available here. Find the festival dates and watch an aftermovie from Venus Fest's 2017 edition in the player below.